What do Japan and Charlie Sheen Have in Common? Disaster. That and one other thing. They’re the two very different things I told myself I wasn’t going to write about this week, as both have had more than their share of coverage by everyone and their dog already, and it’s hard to see the point in contributing to an already saturated dialogue. Japan – obviously a huge disaster and ongoing tragedy. What could I possibly add without sounding preachy, uninformed, pretentious, or some other undesirable adjective? I always have conflicting feelings when major events such as this happen, as they truly are shockingly terrible. On the other hand, it’s also saddening to me that our sympathies are stirred so easily into action by these major catastrophic events, while we’re largely happy to ignore ongoing, arguably greater (preventable) human loss occurring in other parts of the world. In any case, I wasn’t going to write about Japan this week. That is, until I saw a clearly distraught student who told me they had some relatives near Fukoshima. Yet they found the strength to go about their life amidst uncertainty that some of their family were even alive. In that moment, the human cost of the tragedy was illustrated to me more vividly than any YouTube video could. You know those moments when you feel overwhelmingly privileged, to the point where you feel like a total idiot for the petty little things you worry about from day to day? I had one of those. Want to feel humbled? I highly recommend it. I think one of the things that university students tend to forget pretty easily is the fact that they are, statistically speaking, among the world’s intellectual elite. The mere fact that they were accepted into a university speaks to that. In 2000, only 13% of the world’s population had a university degree. The mere fact of having a university degree increases your lifelong earning by 40-50% on average. I’ve written about perspective before, but there’s really nothing like a large-scale natural disaster to remind us to take a moment and remember that we probably have it pretty good. 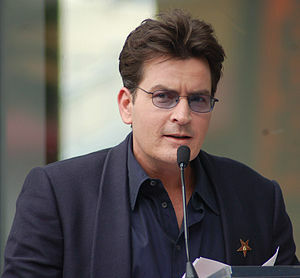 The other topic I told myself I wasn’t going to write about this week was Charlie Sheen. Despite the surface entertainment value of the diatribe he’s been publicly spewing, it’s sad to me to watch someone who’s so clearly mentally unraveling in the public eye, regardless of how much money he’s making doing it. I doubt that the issue of stigma surrounding mental illness is going to be improved as a result, either. Regardless, I wasn’t going to write about Charlie Sheen this week, despite the number of career bloggers who already have. That is, until I heard that he’s doing a tour – the “My Violent Torpedo of Truth/Defeat is Not an Option Show” – and it’s coming to Vancouver. There are a number of ways of looking at this. On one hand, either Charlie or his agent or someone else pulling strings is really smart – since being fired, Charlie has had no problems at all earning a paycheck, be it through this tour or his twitter endorsements. In a twisted way, it’s a great example of someone rolling with the punches and unexpected ‘setbacks,’ and turning them around into an opportunity. It leaves a bitter taste in the mouth, but that’s the message we try to convey – what are the new opportunities when faced with a setback? “Failure” often has a way of forcing us to think a little bit differently, and as cliché as it sounds, mistakes are inevitable, unavoidable learning opportunities. I guess we just have to hope that we don’t have to do it in front of millions of people. So there you have it. I wrote about the very two things I said I wouldn’t. I guess I might need a bit of work on following through. To everyone who has loved ones in Japan, or anywhere else in the world that is suffering needlessly, I remain humbled by your strength and human spirit. To those of you considering spending $80 to $600 to watch a man fall apart at the seams, I would suggest you think about examining your priorities.